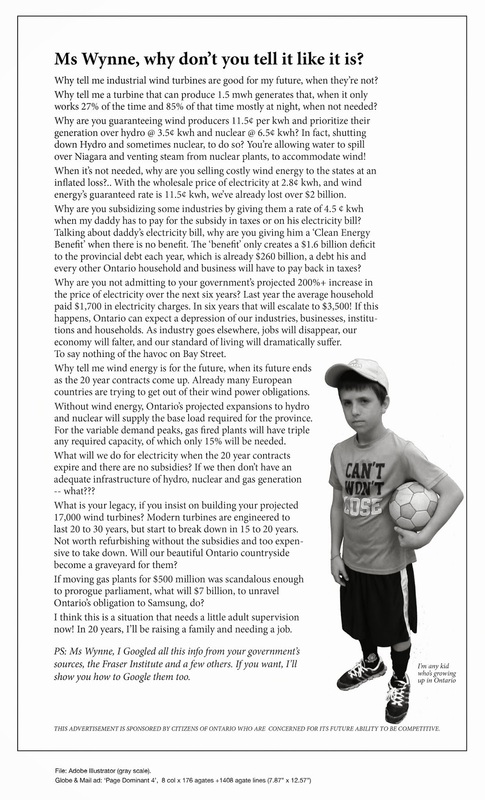 Next Era selling Ontario Wind & Solar | Mothers Against Wind Turbines Inc.
Wind generators operate at 28% capacity factor but have only 11% availability at peak demand due to lower wind output in the summer. Solar generators operate at just 13% to 14% capacity factor on aver-age for the year. – The power-generating capacity of current wind and solar technology is much lower than other energy sources. The production for wind is 28% of nameplate capacity = 350MW X .28=98 MW. The production from a 40 MW solar facility = 40MW X .13=5.2 MW. Why the hell is Canada Pension Board making deals with NEXTERROR! This is very scary, there will no money left for Canadians to retire. The tax payer ultimately will pat for this we all know it. This is not a good company at all, after cutting down the tree with the eagles nest in it with no remorse in Southwestern Ontario.